Dwayne returns to his second season in his new Durham Attack career, after founding the Club with Scott Burrows in 1992. Dwayne coached the original Durham Attack womens’ team in our inaugural 1992 season. Dwayne continued to coach ‘Juvenile’ and ‘Junior’ teams, as the OVA called them at that time, all through the 1990’s, and returned to Durham Attack in 2012 after a ten year sabbatical with his young family. As a player, Dwayne played on the Durham College team from 1990 to 1992, and was an OCAA All-Star both years. In 1993 he played on Rochester Power, a senior USA Volleyball club team, that won USVBA National Gold and Dwayne was recognized as a 1st Team All American. Dwayne is a Level 3 referee, ref’ing games right up to International level play. His desire to give back to the volleyball community that gave him a valuable experience both on and off the court is evident in everything that he does, from refereeing to coaching. As a coach Dwayne returns to us after coaching a very successful 17/18U boys team last season. This year’s 18U team combining 17U and 18U elements from last season, is poised for success. Dwayne is Level 1 certified, and since returning a year ago is halfway through his Level 2 certification. In Dwayne’s words “I coach because I want to be involved… I was very fortunate to have many dedicated coaches and players that have inspired me. I strive to pass on my knowledge and experience, helping others to recognize and achieve their goals both on and off the court’. Which is exactly our goal for our 18U boys as we prepare them for the next level, at college/university and their academic and athletic lives after club volleyball. Craig returns to Durham Attack after a successful career playing at the OUA level and coaching womens’ and mens’ programs. He developed his playing skills playing for Durham Attack for five years from 14u through 18u under the tutelage of Scott Burrows, followed by a playing career at Ryerson and Lakehead. His tenure as an OUA assistant and head coach, working with some of the best university coaches in the country, makes Craig a fantastic addition to our coaching lineup for the coming season. Craig started his university career studying and playing for Ryerson University under Mirek Porosa, then moved to Lakehead to pursue his teaching credentials, with a minor in Kinesiology. At Lakehead he was the varsity womens’ team assistant coach for three years under Chris Green, a former Canadian National Mens’ Team assistant coach. From 2010-2012 Craig was also the head coach of the Lakehead mens team. He is fully NCCP Level 1 and 2 certified. Like many of our male coaches, Craig’s desire to give back to the game and his community has translated into coaching our female athletes. 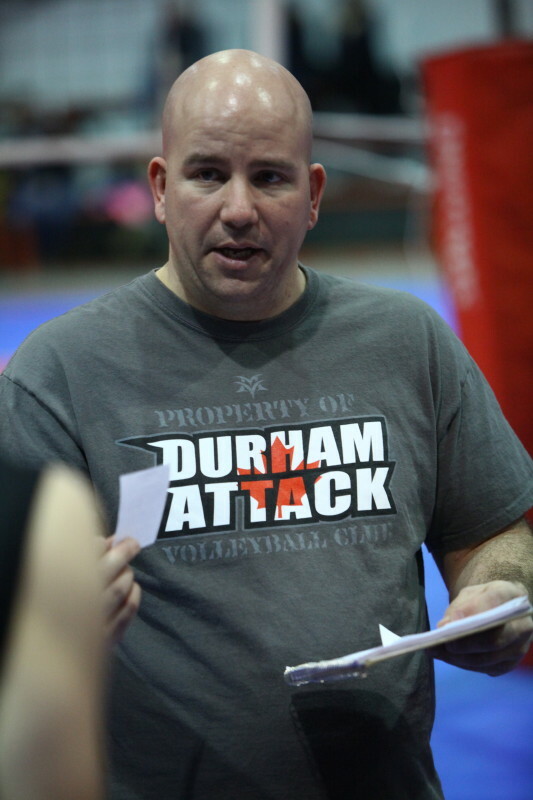 He has coached girls club teams with the Superior North Volleyball Club for four years, and he returns to Durham to lead our 18U girls team. His experience running an OUA volleyball program is invaluable to our club. Five years of club playing experience, a playing career in the OUA, four years of club coaching experience and OUA coaching experience makes Craig the perfect choice to prepare our 18U girls team to play at the next level. Congratulations to Durham Attack coach Melonie Allin whose team won a Gold medal in Indoor Volleyball and a Silver in Beach Volleyball at the World Masters Games in Turin Italy earlier this month! We’re thrilled to have Mel coaching our female athletes again this coming season. Congratulations to Durham Attack coaches Ian Eibbitt and Evan Williams who will be coaching our province’s elite athletes this summer. Ian is assistant coach for the Ontario Boys 18U Provincial Team. Evan is assistant coach of the Ontario Womens 20U Canada Games team. Way to go guys for representing our club so well! Congratulations to Amy and Evan Williams who had a baby girl this morning, December 12th. Sophie Jennifer Anne Williams, 8 lb 4 oz, came into the world at 10:31 am. 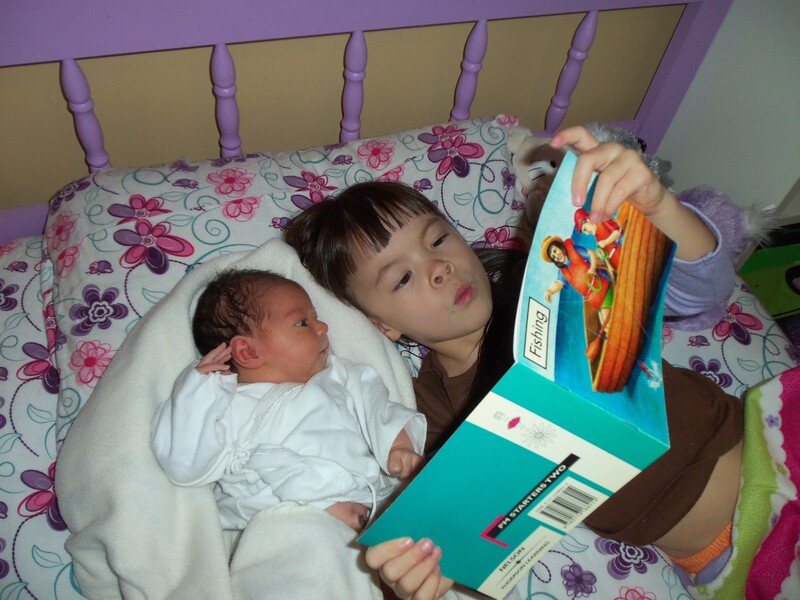 Amy and Sophie are doing well. Congratulations! 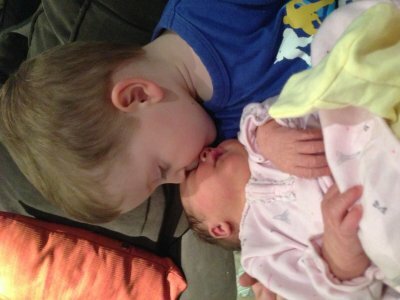 Pictured here – Sophie with brother Owen. We’re very excited to let you know that Hoi and Caroline Leung have welcomed a new member to their family a few days ago. Hoi welcomed his beautiful daughter, Madeira Meiyun Pettitt-Leung, on Thursday November 29, 2012 in Markham-Stouffville hospital at 4:53 am. Everyone is at home now and Andorra is excited to have a little sister to play with. T’is the Season – Check Your Permits! We are starting to see permit cancellations due to Christmas events, and some cancellations that we have not been notified of. Coaches – please check your permits so that you don’t arrive and find that the gym is not available.